As a Senior Recruitment Consultant, Gail brings over 25 years of experience in the recruitment, selection, supervision and motivation of top calibre professionals, including more than 10 years of dedicated experience as a professional recruiter. Gail’s natural ability to assess the needs of clients and candidates alike enable her to develop long standing and trusted relationships. Her resourceful and ethical approach coupled with her commitment to integrity and transparency, has earned Gail an enviable reputation within the industry. Gail thrives when working with clients who are equally quality and goal oriented, and who want to achieve organizational excellence through building strong and effective teams. She considers herself a true generalist which allows her to effectively partner with her clients. Her many years as a recruitment professional has resulted in numerous successful placements within the agricultural and private and public sectors; focused on a variety of disciplines including Executive search, sales and marketing, manufacturing and operations, and administrative. 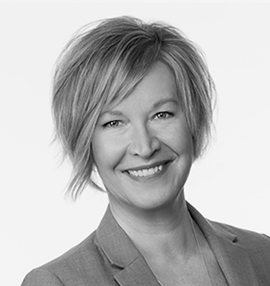 Gail is an active Board Director with Agriculture in the Classroom – Manitoba (AITC-M) and Heart of the City Benefit committee member with Mount Carmel Clinic Foundation.